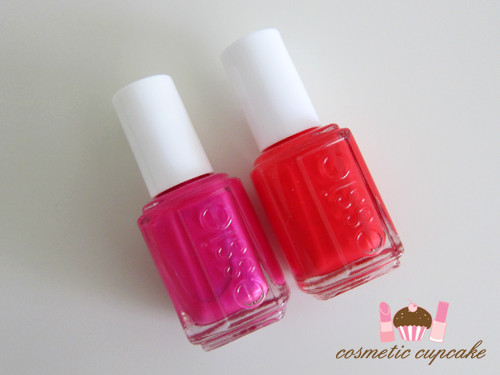 "This spring, Essie pays tribute to the beautiful, ambitious woman of action. Not content to play it safe and hedge her bets during the wintry economic climate, the change in weather perfectly suits her sunnier outlook. In both fashion and finance, she's ready, willing and able to strike out and try something fresh and new. This supremely feminine collection creates the perfect spring wardrobe for every woman on a mission. With skin-flattering brights and power pastels to suit every occasion, she's always at the top of her game with essie color. For those in the vanguard, blazing a trail of glory to new heights, there's Olé Caliente, for a more gentle touch and soft-sell approach, A Crewed Interest is sure to post serious profits. Whatever your strategy, choose one of six ingenious colors that means business." 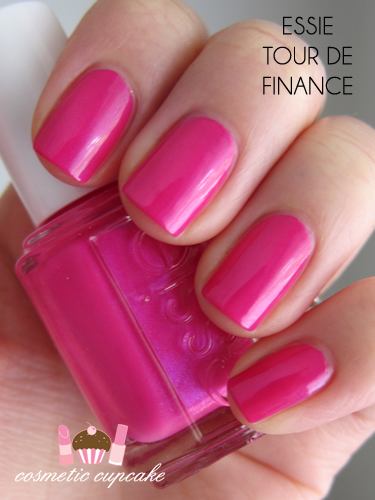 Tour de Finance is a gorgeous bright fuchsia with very subtle blue/purple shimmer through it. You can't really see it on the nail but I've just managed to capture it in the bottle I think! Every spring collection needs a shade like this and it makes the perfect pedi colour. 2 coats is pictured. Olé Caliente is a orange based red creme. It was hard to capture the shade properly so it's slightly more orange than my pics show. A great red creme but nothing really all that special shade wise. 2 coats is pictured. 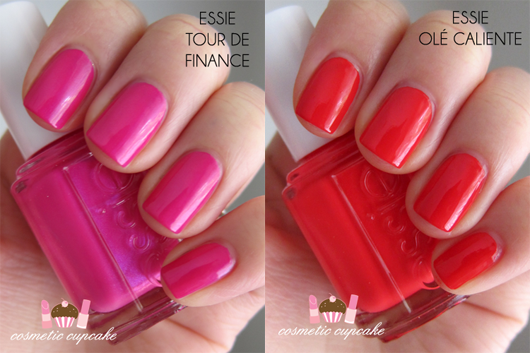 Overall: These aren't the most original colours but if you like brights you'll enjoy Tour de Finance and Olé Caliente! Red is more of an Autumn/Winter shade to me but I can never go past a great red creme so it's a nice inclusion in the collection and I really liked the subtle shimmer in Tour de Finance. 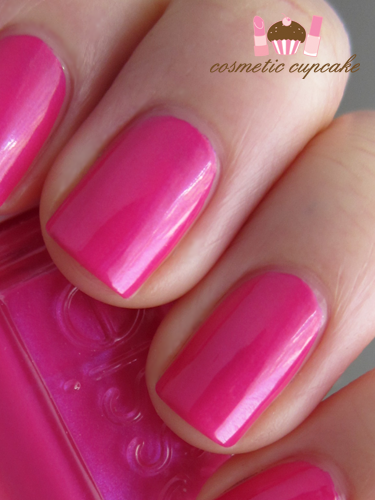 What I loved about these shades was the formula - it was perfection and such a pleasure to swatch. 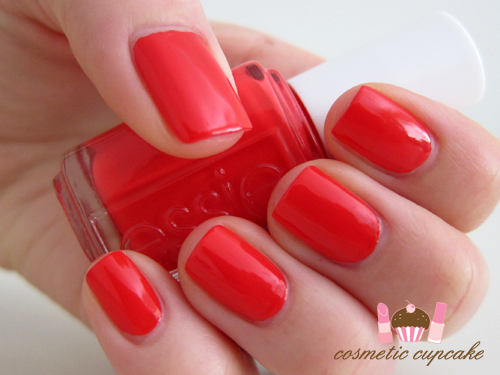 Both applied wonderfully and in particular Olé Caliente which was so opaque and buttery one coat would have sufficed. Dry time was excellent and dried to the usual high gloss Essie finish and the brush was great to use so I had very little cleanup to do. 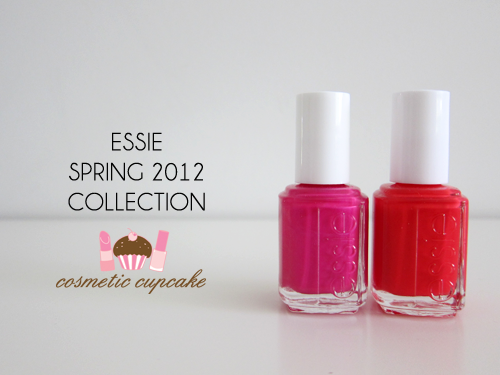 Details: The Essie Spring 2012 collection is available now from Myer and selected salons for $18.95 or $25 for a 4 pack of mini polishes. 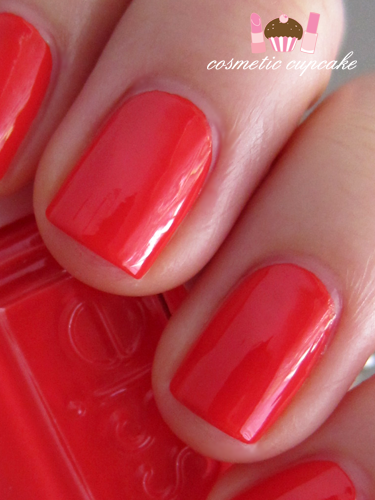 Olé Caliente is particularly bright and I know I'll be wearing it a lot this summer! I'm wearing it right now as a pedi colour actually lol.